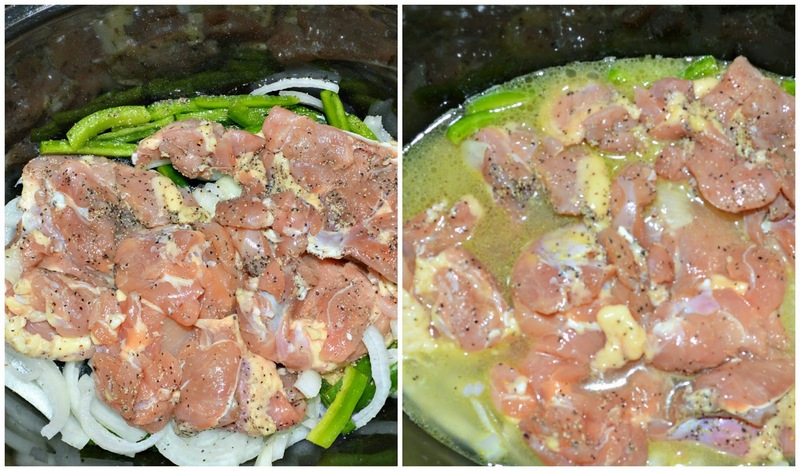 Season Chicken Thighs with 1 teaspoon of salt and black pepper 30 minutes prior. 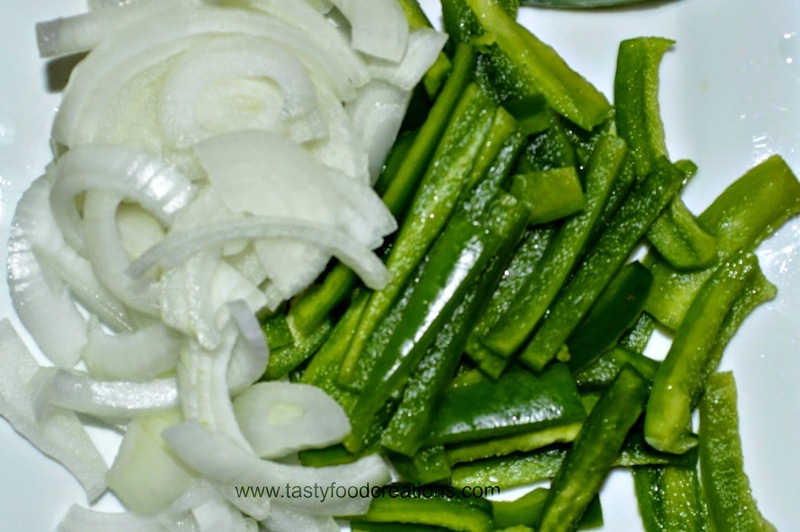 Slice onion and julienne bell pepper. 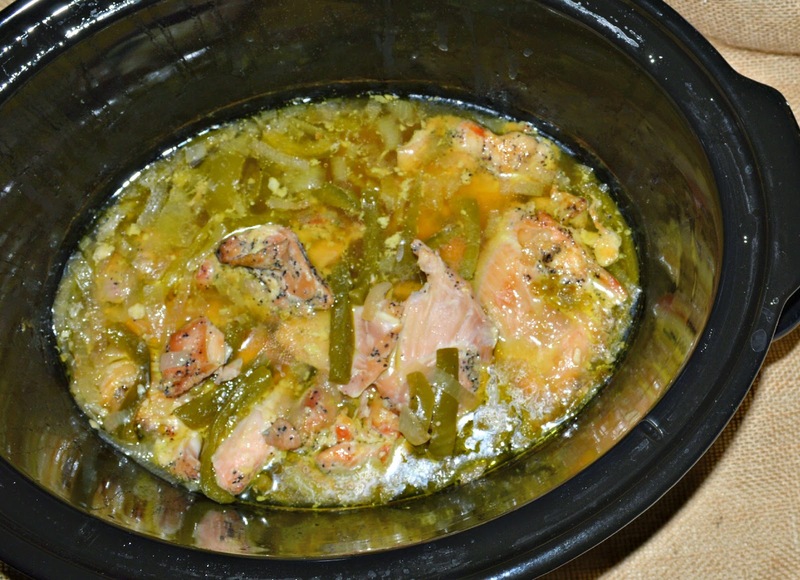 Turn on your crock pot. 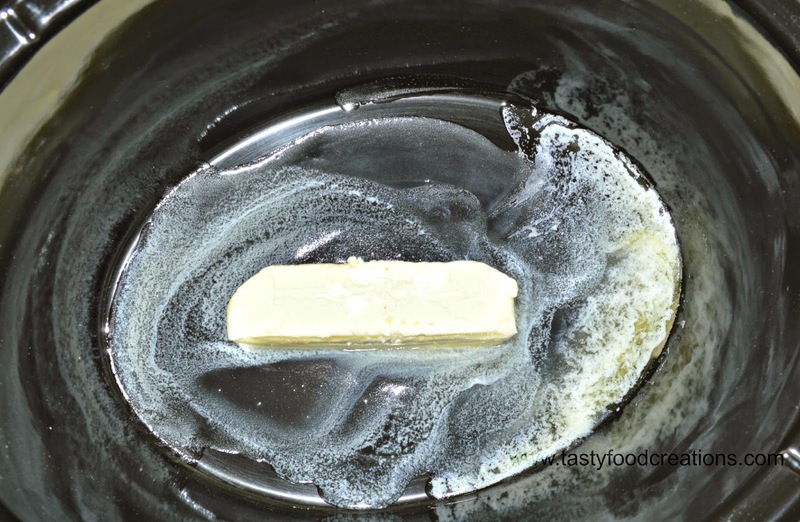 Place butter in crock pot and let it melt a little. 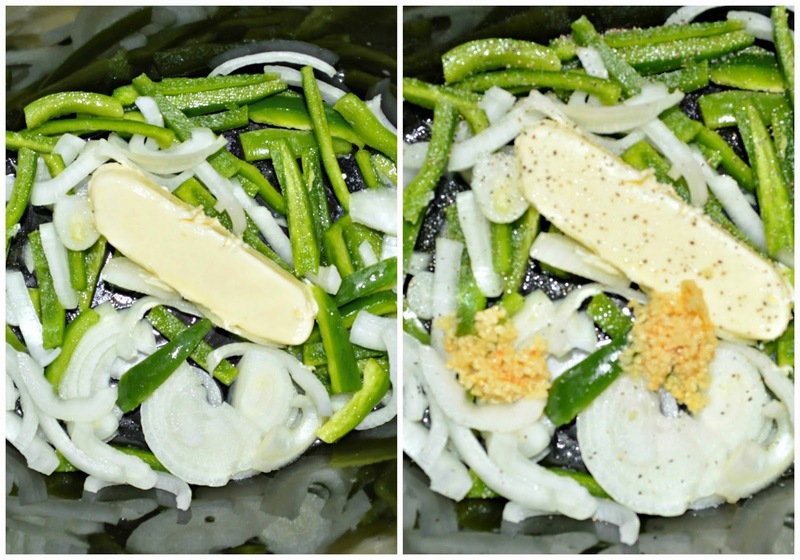 Add onions, bell peppers and minced garlic. Season with 1 teaspoon of salt and black pepper. Pour broth around chicken thighs. Cook on low for 7-8 hours or on high 4-5 hours. Check chicken (either after 7 hours if you cooked it on low or 4 hours if you cooked it on high) if it pulls apart easily. If its not completely done yet cook it for another hour and check again. Shred chicken thighs but not so much so it could have some bite to it. 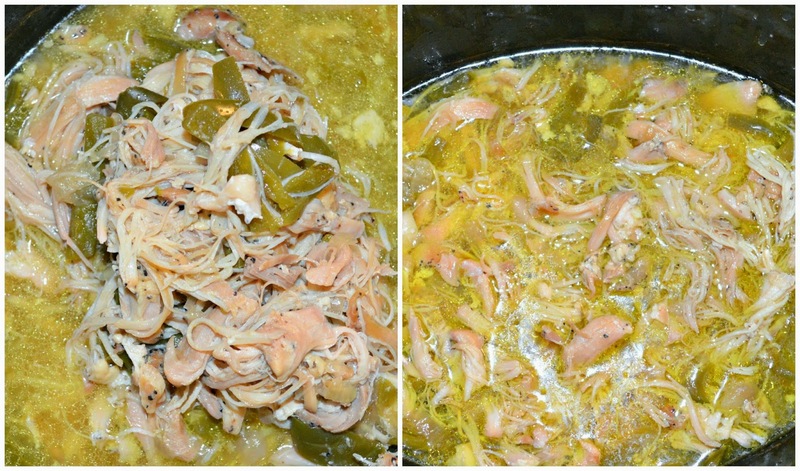 Leave Chicken in broth until you are ready to serve it. 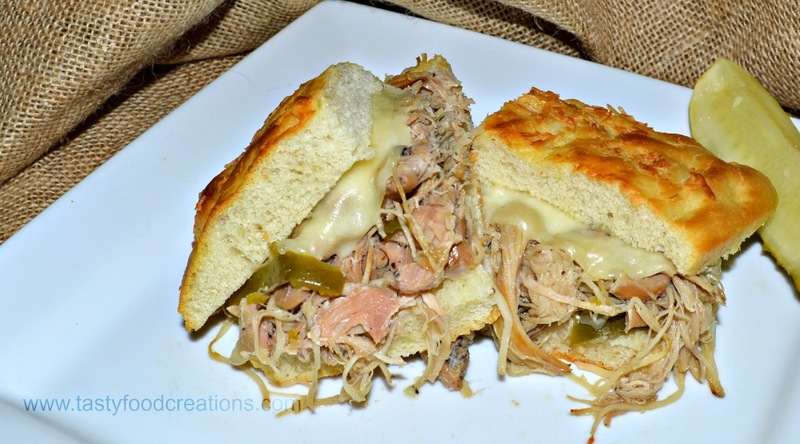 I served Chicken Philly Sandwich on focaccia bread, but your favorite hoagie bread well be as delicious. 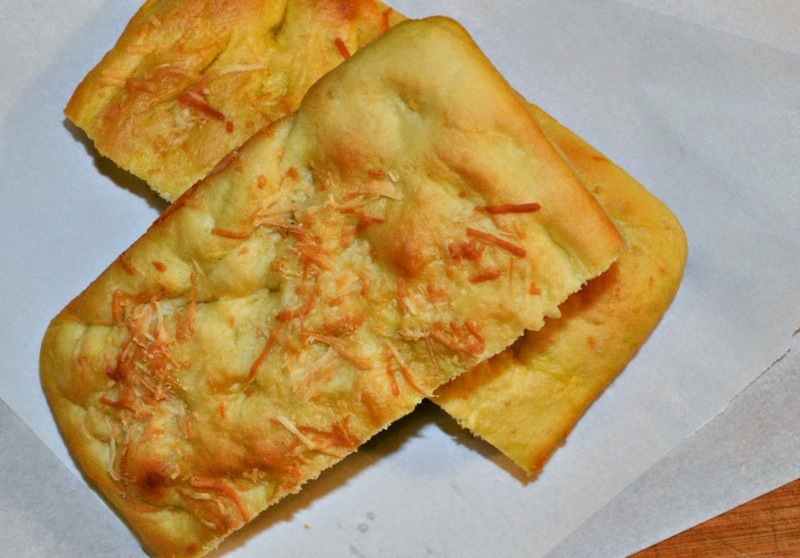 Slice focaccia bread in half. 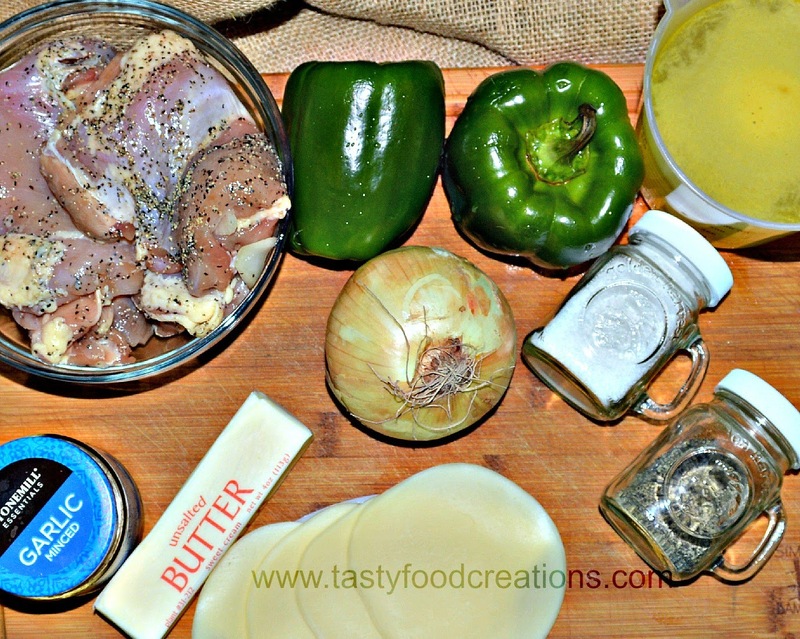 Add chicken with onions and peppers, and top it with cheese. Cover with other piece of bread and serve it. Enjoy! Tip: Save leftover broth and make soup with it. I made Egg Drop Soup with it (The broth still had bites of chicken, peppers and onions in it). Pour broth into a pot and add 2 cups of water, bring it to boil. In separate bowl whisk two eggs and drizzle it over boiling soup. Whisk soup until eggs are cooked. Thats it, now you can serve it. The soup was delicious!! !